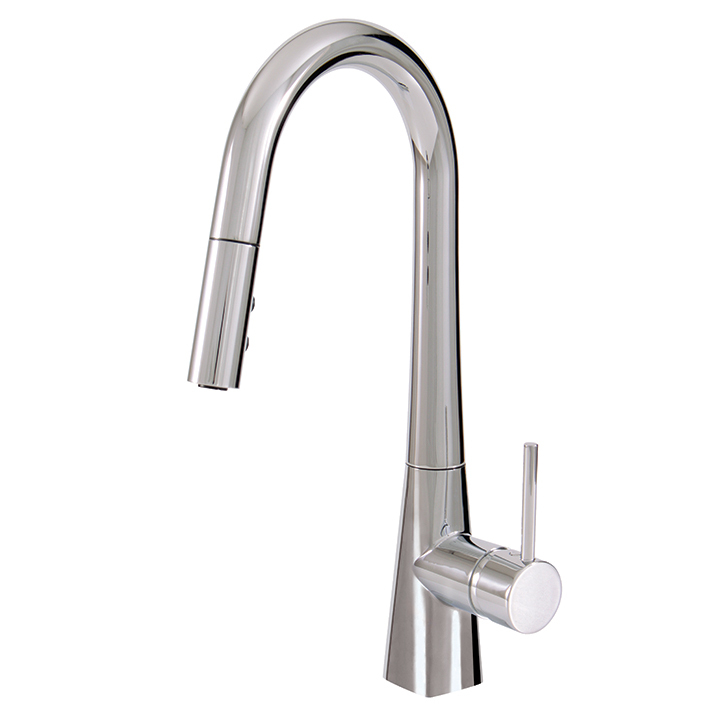 Sonoma Forge #WB-DM-GN-LG Kitchen Faucet: Double handle kitchen faucet with gooseneck spout. 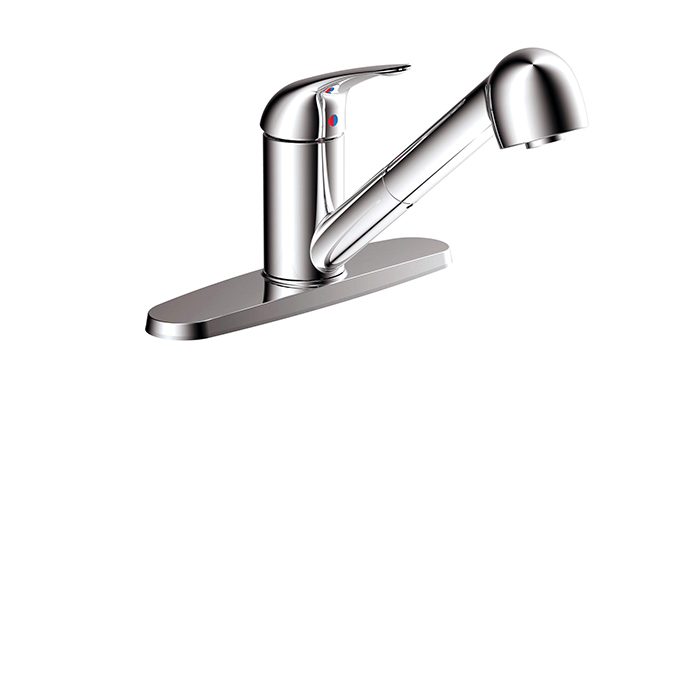 Comes with swivel spout and single function. 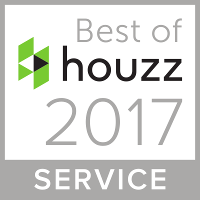 Available in a variety of rustic finishes. 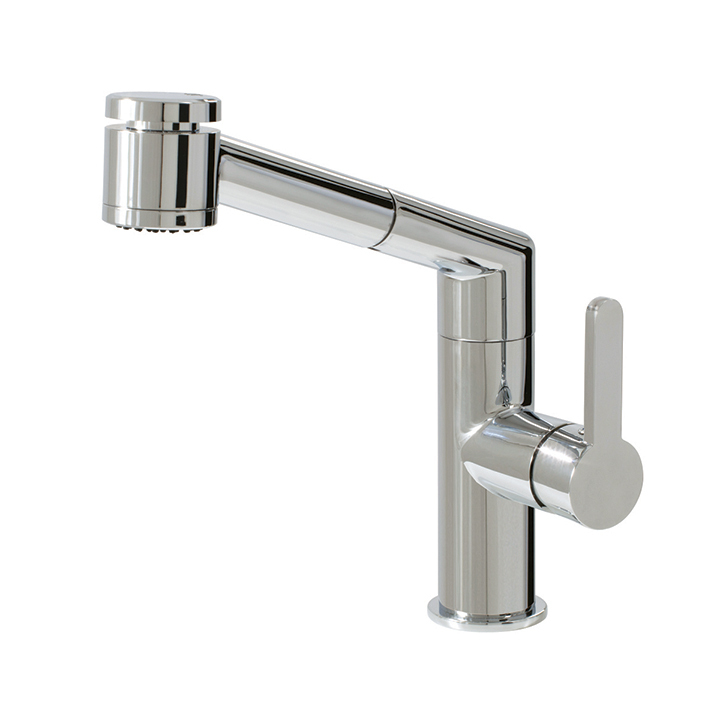 Single lever kitchen faucet – pull out with dual spray function – comes in a variety of different finishes such as chrome – brushed nickel and 16 different custom finishes. 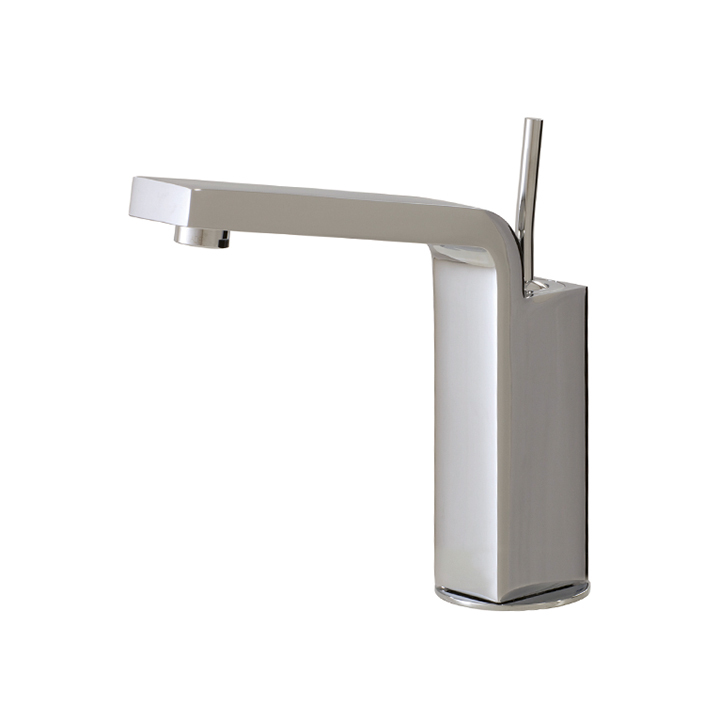 Single lever kitchen faucet – single stream – comes in a variety of different finishes such as chrome – brushed nickel and 16 different custom finishes. 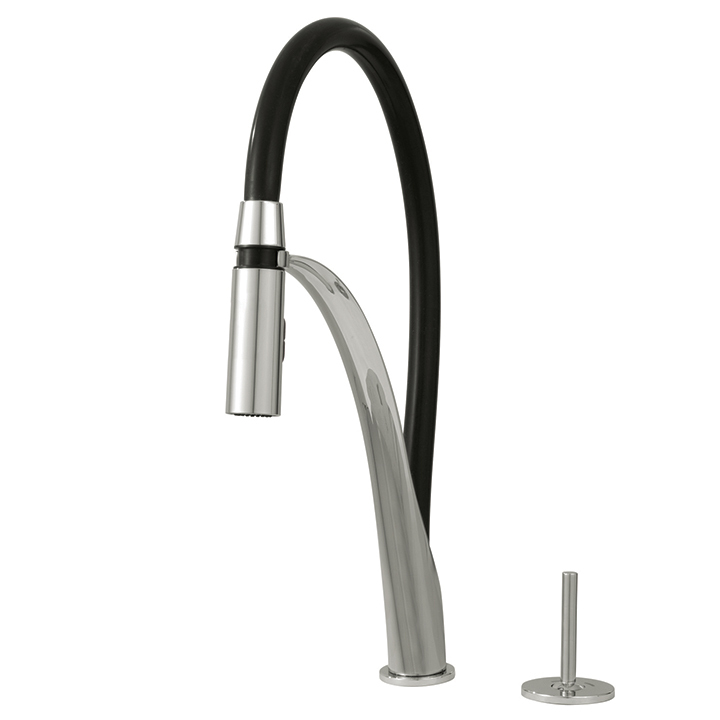 Joy stick kitchen faucet – black hose – pull out with dual spray function – comes in a variety of different finishes such as chrome – brushed nickel and 16 different custom finishes. 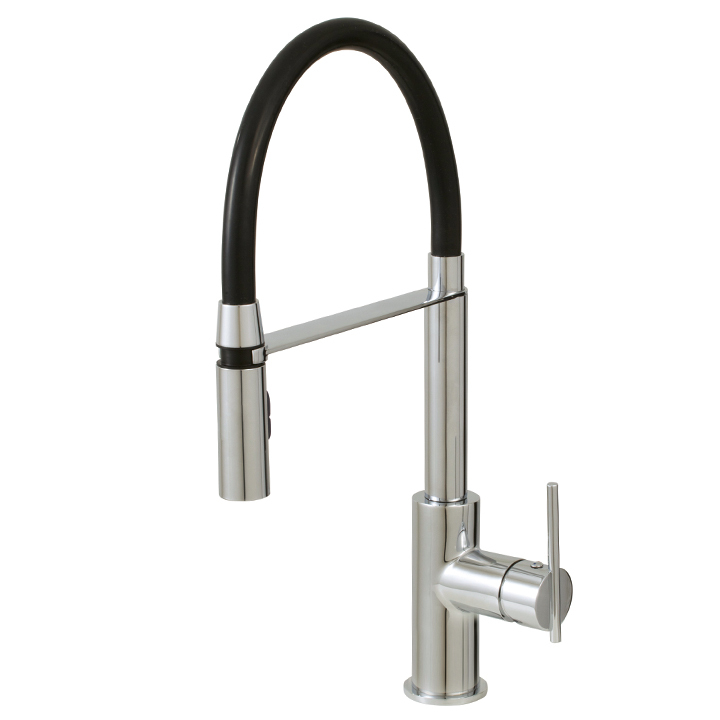 Single lever kitchen faucet – black hose – pull down with dual spray function – comes in a variety of different finishes such as chrome – brushed nickel and 16 different custom finishes. 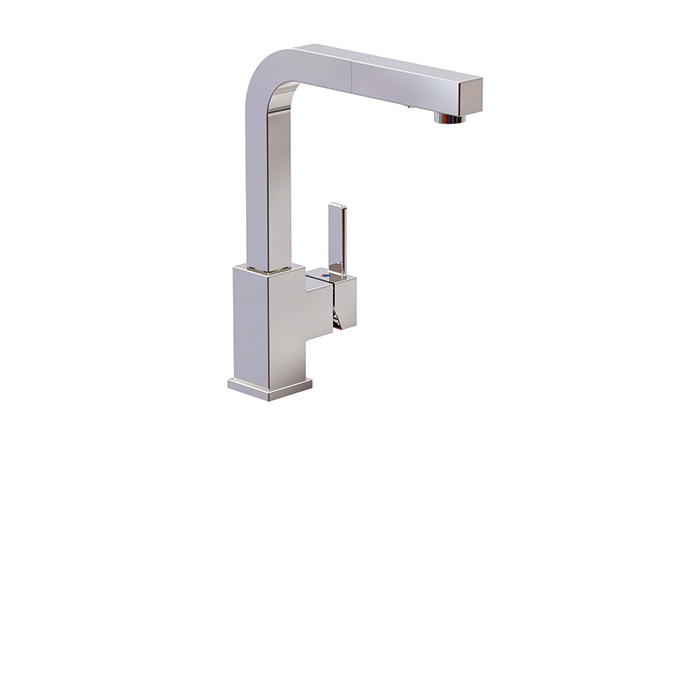 Single lever kitchen faucet – pull down with dual spray function – comes in a variety of different finishes such as chrome – brushed nickel and 16 different custom finishes. 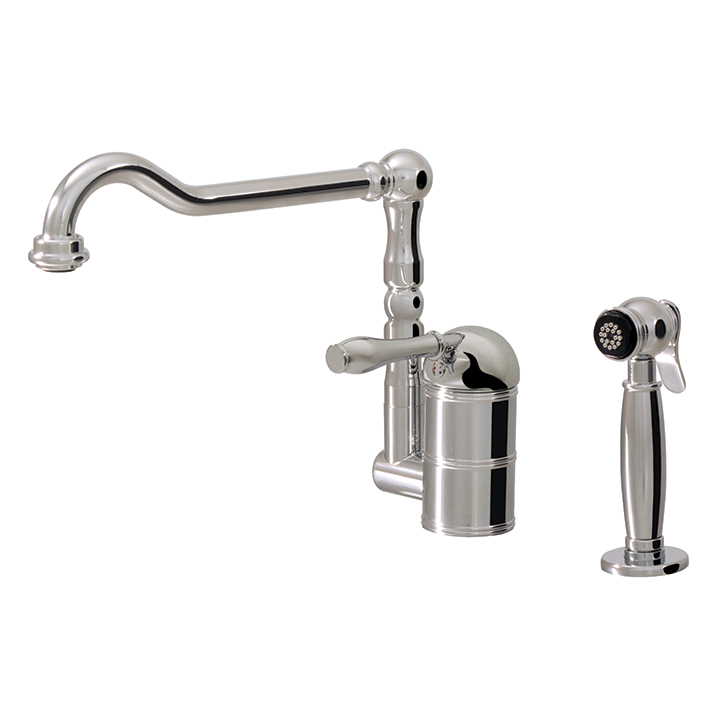 Traditional single lever kitchen faucet – pull down with dual spray function – comes in a variety of different finishes such as chrome – brushed nickel and 16 different custom finishes. 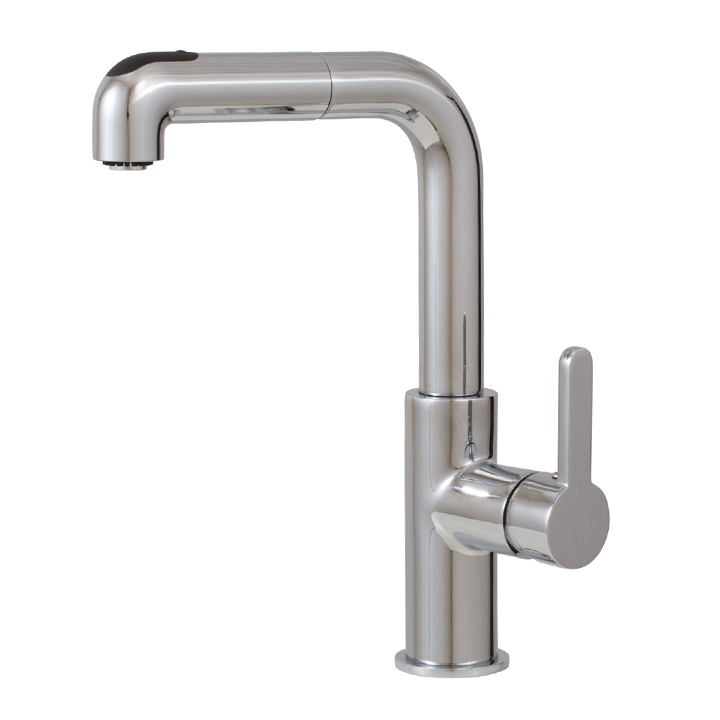 Single lever kitchen faucet with side spray – single stream – swivel spout – comes in a variety of different finishes such as chrome – brushed nickel and 16 different custom finishes. 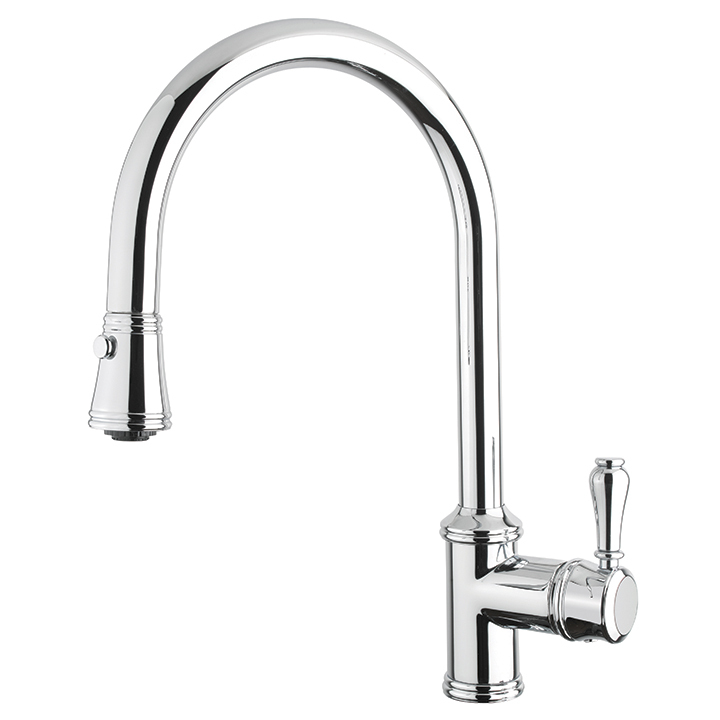 Single lever kitchen faucet – swivel spout – single stream – comes in chrome finish. 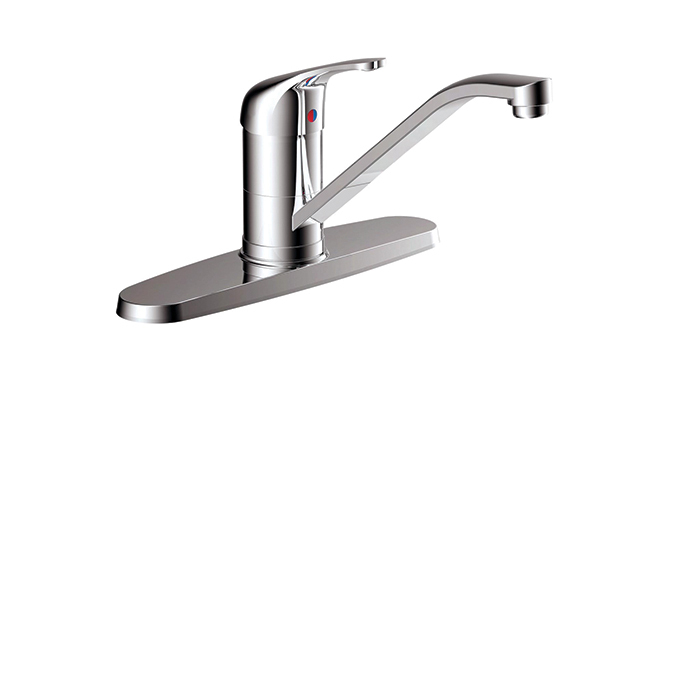 Single lever kitchen faucet – swivel spout – pull out with dual spray – comes in chrome finish. 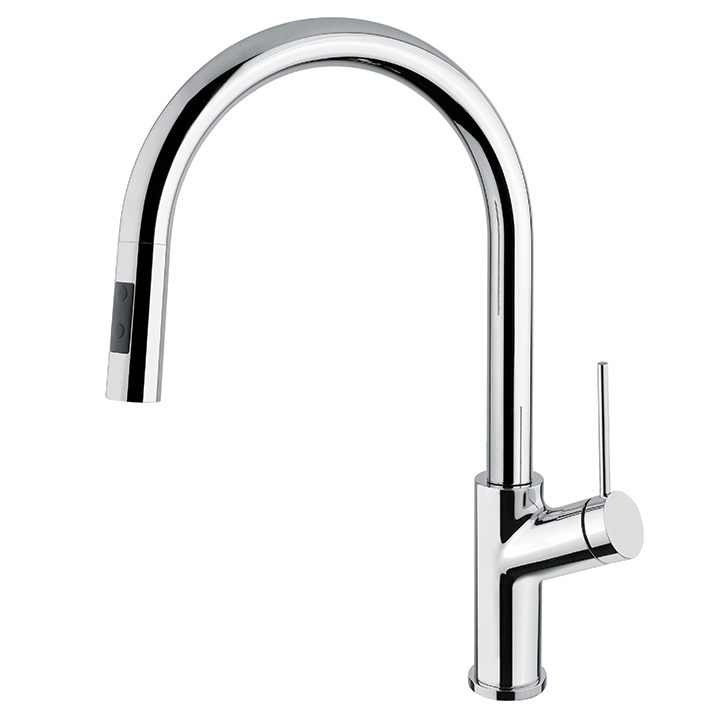 Single lever kitchen faucet – pull out with dual spray – comes in a variety of different finishes such as chrome and matte black.